A heritage hog breed, the American Guinea hog may be the best pig for your small homestead. 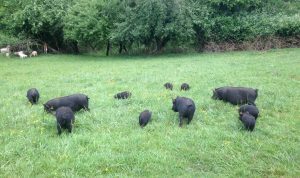 Raise these hogs on pasture for superb meat and charcuterie. When deciding whether pigs will work for you, don’t assume all breeds are similar. 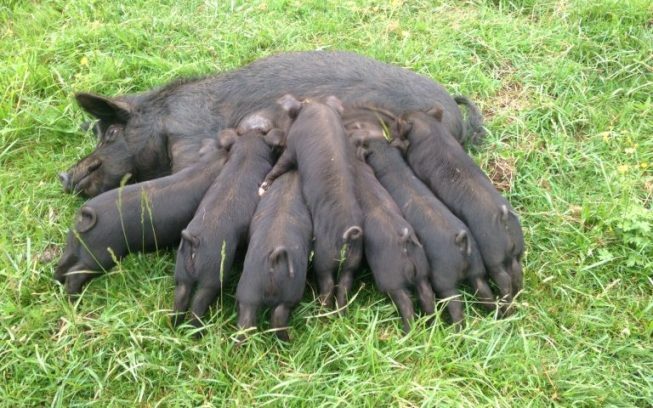 Hogs can grow into massive animals, with breeding boars tipping the scales at nearly 800 pounds, plus large sows with piglets can be dangerous for the inexperienced hand. Some breeds produce large amounts of meat (130 to 150 pounds per pig), which may be too much for a small family’s needs. A small breed such as the American Guinea hog may be the best choice for many homesteads. One Guinea hog will yield 60 to 80 pounds of pork. During the Guinea hog’s heyday in the late 19th and early 20th centuries, most households were cooking with lard, and this breed produced it abundantly. As the use of lard diminished, so did the American Guinea hog’s numbers. The breed was fairly common in the South up until the 1940s. These pigs were mainly kept on small farms and were used for meat and lard production, cross-breeding, and as yard pigs to till the garden and keep snakes away. It is an easily managed, mild-mannered small pig breed that fattens well. 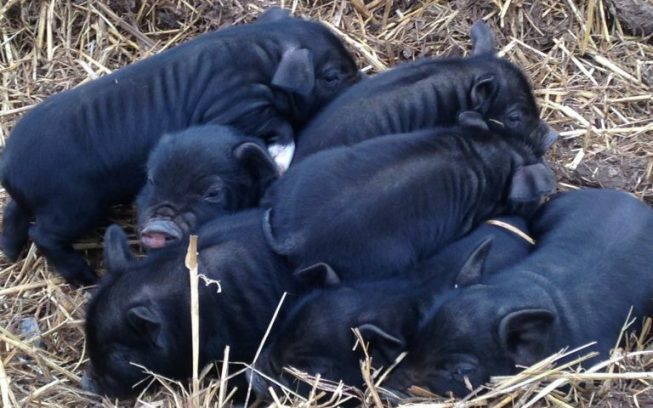 These are great beginners’ pigs, with sows typically reaching only 150 to 180 pounds if in good condition. Boars grow to approximately 250 pounds, although some may be a bit larger. You can expect a butchering weight of approximately 120 to 150 pounds.